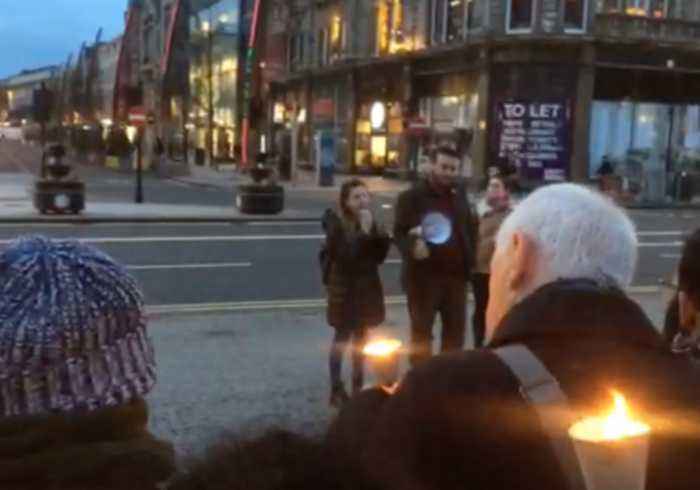 A candlelight vigil was held in Belfast, Northern Ireland, on the evening of March 15 in the aftermath of the Christchurch mosque shooting. 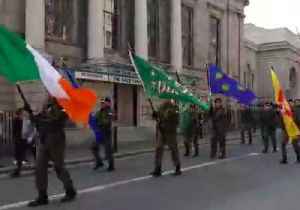 This footage shows the event, held in front of Belfast City Hall. Fiona Ferguson, the People Before Profit North Belfast representative, can be heard speaking. She encourages solidarity with the Christchurch Muslim community, mentions anti-Muslim attacks and incidents of racism that have occurred in Belfast – including a Syrian family who were intimidated from their home in early March – and reiterates that all Muslims are welcome in Northern Ireland. Ferguson also criticized the Democratic Unionist Party led by Arlene Foster, who coincidentally extended an invitation to US President Donald Trump to visit Northern Ireland on the same day as the Christchurch shooting.